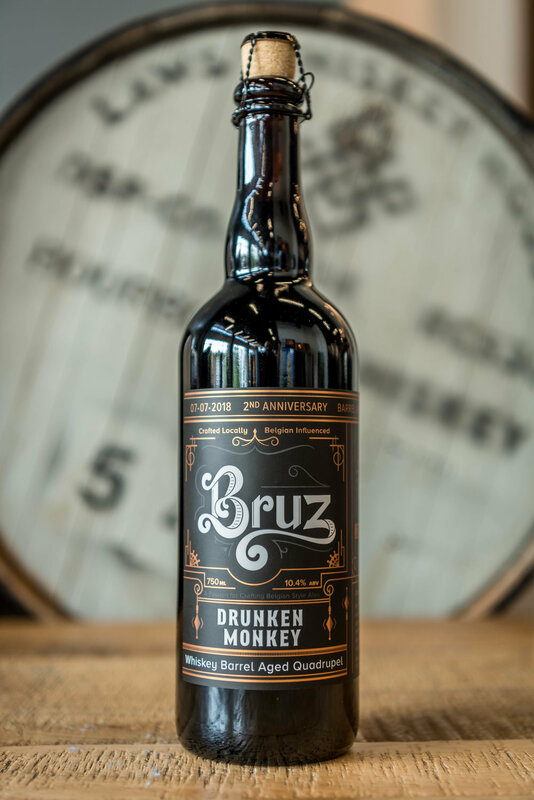 Drunken Monkey Quad is a big Belgian-style Quadrupel aged in whiskey barrels from Rocker Spirits in Littleton, Colorado. It is dark, rich and malty with flavors of fall fruits, caramelized sugar and chocolate. Its oak and whiskey notes add a depth of complexity to this flavorful brew. Drunken Monkey Quad is smooth and very drinkable – despite its hefty alcohol. Available in 750 ml. corked bottles (while supplies last). Extremely limited quantity (only 40 cases releasing).